A day back in November when the temps dropped into the 20s and freezing rain coated the Colorado terrain. This is one of the largest bucks I have ever seen. That really is one 'slab-sided' buck Terry. He's massive! A good-looking buck in attractive native habitat, Terry. 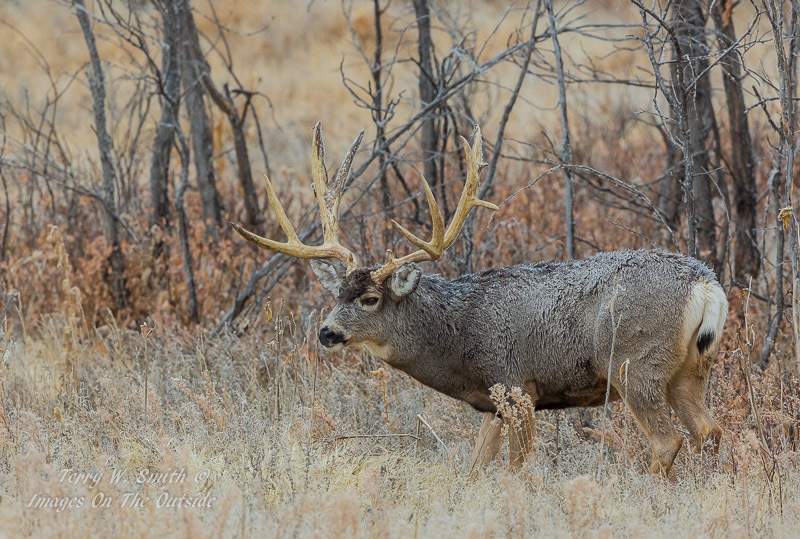 I like how the tones in the background complement the Muley. Such a pretty scene with harmonious colors. Big guy looks a bit chilly! Cool portrait Terry, love the complementary colors!